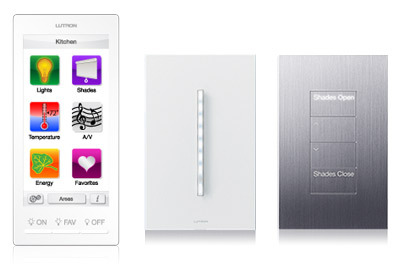 Lutron HomeWorks has been the leader in light control for luxury homeowners for over a decade. A HomeWorks system provides convenient, intelligent and sophisticated control of your home's lighting and shades, and can be integrated with security and audiovisual systems. In addition to enhancing your lifestyle, HomeWorks' Architectural and Designer style controls can also enhance your decor and complement your home. Centralised dimming panels can be used to provide control of multiple zones of light in a room or throughout your home from a single keypad.